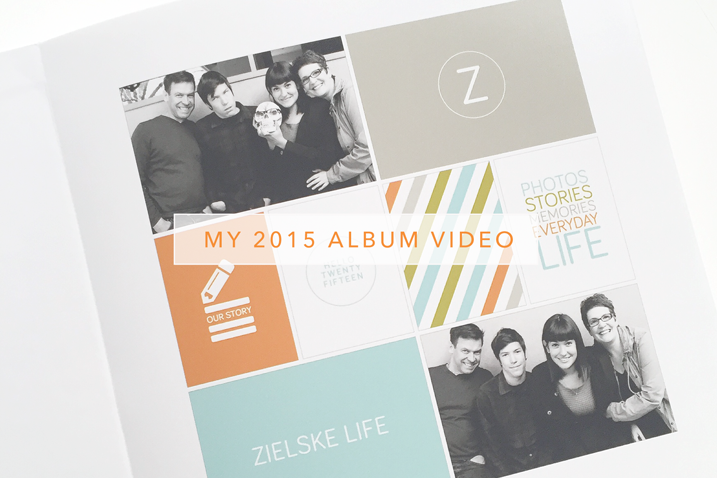 I’m excited to share with you the printed book of my 2015 Project Life album. This is my second year doing a printed book and I’m really happy with the results. Rather than me type a bunch of words about it, here is a video walk through for your viewing pleasure including some of my thoughts and tips about taking this type of approach to a year-long project. And you would need a copy of Photoshop Elements or Photoshop. As far as all the other products I used throughout the album—and as you saw in the clip, they were minimal at best—you can click on any of the links below to see the months of 2015. I shared supplies on each post throughout the year. And what will next year look like? This is my working Title Page for 2016. I have traditionally used photos of us from the previous December as it’s not always easy to get a family photo in January. I plan to take the same approach this year. Clean, simple and pretty much crap free. I would love to win a book! Thanks for the opportunity! I love your clean style and I would love to win a book! Love your PL! Thanks for a chance! I have been hesitant to jump onto the ‘printed book’ bandwagon…this would be a great motivator. Thanks for the opportunity. Your book looks amazing. 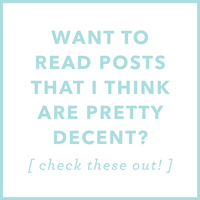 Your style is always an inspiration to me, so thank you for such a comprehensive post covering your past year of pages! I haven’t made the switch from albums to printed books yet, so I appreciate the chance to win one from AdoramaPix. Looks AMAZEBALLS! I think this is something i will be considering for 2017….already started my 2016 12×12 album. If I win I can print my Me TAV album from your class. ? And I loved your 2015 album. ? Did Adorama ever expand to allow enough pages to really print a full-year Project life album with 100+ pages? I think the only company I can find to do a 12×12 book that big is Shutterfly & I’m not thrilled with their construction/quality. I’m sure there are many others who would love to see them add in just enough pages to get a full year in 1 album. Thanks! I will ask them and get back to you! 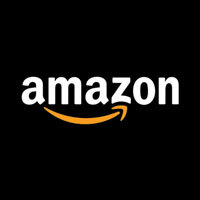 Blurb.com also can do a 12×12 book with tons of pages. Great quality! I made about a 140 page PL book with them on the lustre medium grade coated paper (can’t remember the exact name) and was really happy with it. I’m not sure about 12×12 but on Blurb I printed a standard portrait and it had 240 pages which is the maximum they print for that size! LOVE, LOVE, LOVE your album! I’m feeling motivated right now. With a big family move to a different state coming up, I would love to win this album for push start my PL2016. Thanks! This video came at a good time for me. I have been all over the place with this PL system. I did a photo beach vacation album book once and I have that memory. I like the PL albums but I never get around to filling them. I am definitely going to start this for 2016. Is this a 12×12 album you have? Do you set up in photoshop? Basically you turn your psds into jpegs for uploading right? By the way, I love your album! Hey Lida, the base templates I used are linked in the post above. Just click on the images of the digital packages. And yes, set up in Photoshop, save as JPEGs, high quality, for uploading! Just wanted to clarify….in the video you say “save as one big jpg file”. Would we save each individual page as a .jpg or combine them all into one file? BTW….it would be great to win a free book 🙂 Thanks!!! thank you for all your hard work and inspiration Cathy. I love the simplicity of your layouts. I so love this! 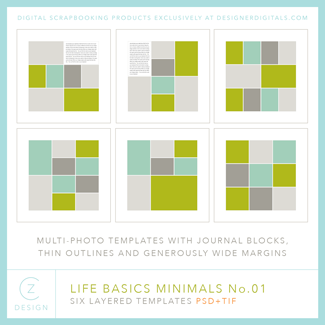 I made the leap to doing my Project Life album for 2016 in digital format. I should state that my PL album is all about me; it is sort of my proof that I do have a life that goes beyond my kids and my work! I’ve done them in 12×12 and in 6×8 previously, but for 2016, I’m going with an 8×8 digital book. If mine looks half as good as yours does here, I’ll be happy. Thank you for this video Cathy! I’m going from a weekly to a monthly format this year and wanted to see how you accomplished yours. I’m doing mine “traditional,” but I’m also thinking that some months may only be two pages. We’ll see how it goes! Just ordered both card sets!! LOVE!! I already have your Project Life kit. I am always drawn to your simple designs as I’m at the same point in my life as you are and this style just works!! Would love the opportunity to win a free book…thanks!! I’d love the win the book. Thanks for the chance. Awesome! I would love to win a book from AdoramaPix. I need get my 2015 album ready to print (well… “part 1” at least) before the discount deadline. Motivation! 🙂 I’m using your templates for my 2016 album. Love them! I have been debating about switching to a digital book for my Project Life. I would love to win! Thanks for the great giveaway and all the fabulous inspiration, Cathy! Oh, I hope I win! I started my book with them digitally this year for the first time after watching about your 2014 book. I previously did a traditional project life. Thank you! Why yes, I *would* like to be entered to win the book, thanks! Yours is cool. 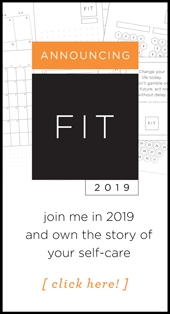 Every time you post your digital books it makes me want to go that route… but I’ve promised myself I’ll use up the physical product I have sitting on my shelf first (just a couple kits I couldn’t resist – using the 52 weeks kit for 2016). I’ve been holding out for this discount code but so bummed it’s square books only as my family album uses their landscape 8×11. Love yours and thx for the review!! I love your style and how you put this book together. My pages don’t look like yours, but I’ve learned so much from you. Type tricks, symmetry, equal margins. It all goes a long way to making a cohesive look that I really love. I would love to win a photobook, thanks! I never thought printing my PL in a book was a viable option until I saw you do it last year. It’s really not that expensive when comparing it to printing out my pages individually and buying the albums and page protectors. I’d love to know how you convert your photos to black and white. I’m never quite happy with the results when I do it. Partly, I love color. But, it seems like I lose something in the conversion. Contrast maybe? Bonnie, I use Rad Lab for all my conversions! There is a link on my sidebar to RadLab. I cannot recommend this plug in for Photoshop (and Photoshop Elements) more highly. Thanks for the opportunity to win this. I have used Adoramapix in the past even though the postage to New Zealand was as much as the book but we just can’t get that quality here. Thanks for the chance to win Cathy – you may it all look so easy! I ordered your Digi Basics class last summer and just ordered PSE 14, so I’m hoping this will be the year to improve my digital skills. This is lovely! Thanks for sharing and for the chance to win! I’m going to be finishing up my 12×12 photo-a-day for my son in 3 months and this would be AWESOME. I specifically laid everything out based upon a lay flat book. And I’m glad to see you are continuing with your same type of album for 2016 – your posts are a huge inspiration! YAY intro page cards! Now that I am home from work, I was able to watch the video – AWESOME! (Stupid blocking of websites at the office. Gar.) Now I am feeling all inspired to get mine from last year finished up. I do love that you included your son giving you the single fingered salute. I feel better about including the picture of the piles of barf that my two year old produced on New Year’s Eve, sent to me by my husband who was home with the kids while I was hanging with friends. Would you consider putting together some cover templates for purchase? Maybe based off of the circle design you created last year and the square you used this year? Thank you for sharing your book. I struggle with the whole paring down the photos deal. I have tried a weekly format, I have tried a monthly format, but the summarizing becomes overwhelming either way. I think because I try to capture too much. I can make a picture of a chip in a certain shape represent an emotional connection about the relationship between my daughter and I ? Let alone what a beautiful pic of either one of them does to me, or a capture of a certain expression they make, or the cute outfit they put together, and that is before any events which occur in the month. (And there always seems to be a million picture worthy things going on) I need to step way back. Because right now all I have are photos and piles of notes. (And related memorabilia) HOW do you make yourself eliminate because you’ve got to have tons more awesome photos that you’re leaving out! 2015 beautifully done. I am inspired to get busy and create MY 2016 book. Love the simple clean look. Would love to have the 12 x 12 AdoramaPix book. Thanks for the share. Thank you for the great video of your book. I love your clean style and have many of your templates. I would love to win a book at AdoramaPix, love the lay flat one. Thanks for a chance to win. Your book looks fantastic! I just love your style. Why did you decide to leave the 1+ inch white border around the grids of photos? Just wondering why you didn’t use less of a border and have the photos themselves be larger sizes. One more question — you mentioned the Photos app. I am now using Aperture (mostly for photo organization; I rarely edit photos in this program) and am thinking of switching to Photos but am nervous about doing this. How do you like the Photos app? Thanks — and thanks also for the chance to win the Adorama book. Adorama books are the best! I think the Photos app is fine, but it’s not the best out there. I don’t know what the best is, but I think Aperture might be better, honestly. This is fantastic! Such an inspiration. And thanks for the chance to win! 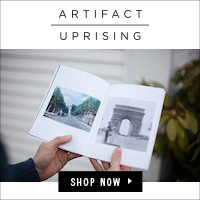 Never heard of this company, but I love making photobooks and I’d love to win! Thanks for the opportunity! I’d LOVE to win! Thanks for the opportunity! I love your album! The wide white border makes it look fantastic. I’m still doing the physical version this year, but I totally love your way too. Thanks for sharing Cathy! I’m on my 3rd year using your basics templates. I love them! I’ve also gone down to a 1 page per week format so that I can add memorabilia into my 12×12 D-ring album. I limit the entire year to only 1 album, so only the important stuff makes it into there. Lack of space is an issue here too. Having boat loads of albums is just not realistic to pass down to your children, right? I’ve been seeing less products from you last year on Designer Digitals. I hope that will end this year, hint, hint. 😉 You and Katie are my favorite designers! I just checked and love your Title cards for 2016! I’ve already created my title page (but not printed yet) and I never really fell in love with it. Thanks for the new products to improve it! You know, I mean to make more stuff… I do! Sometimes I am hard pressed for inspiration, when what I really want is less stuff. 😉 But I’m working on it! 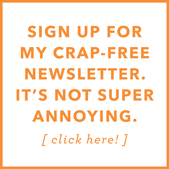 Love your monthly format. Seems so much more manageable! And your clean & simple designs always inspire. I would love to win a book. Oh, I would so love to win. Your book is wonderful as usual. I was wondering if you’d have new digi files for 2016!! I’m off to Designer Digitals to snag them. Your book is awesome! Love the simplicity of it all but how it captures the essence of your family life. Best to you and thanks for sharing. Your book is amazing! Of course! How awesome it is to have a tangible book in hand to page through. It’ll be even more fabulous years down the road! Also, I of course would appreciate the opportunity to win a book too! I love your album…and I would love a chance to win…it would be so awesome!! I would love it if you would do a video on how you put the book together on adorarama….my tech limited brain can’t figure it out! I’ve decided to take the plunge and do my 2016 PL book fully digital in this format. It helped me to hear you say “Do I miss the pocket pages and the “stuff” – yes!” I feel the same way, but think in the long run this is a better format for me. Love the clean look of this book. Also planning to do the first year in my new grandson’s life this way as well! Thank you for sharing your process! After two years of doing a physical Project Life album, I decided to try digital for 2015. And honestly, mostly because I loved your book! I’ve always done the monthly basis rather than weekly, but I wanted something less bulky than the big three ring album. I love your designs and am using your templates and kit to do the album. I would love to win the album to see my first book with the lay flat AdoramaPix pages! Oh good golly Miss Molly! I LOVE this. I followed you all the way through and I am almost ready to upload my 2015 album to Adorama. You have motivated me to get moving and so this weekend…. I will be doing nothing else. Your style is so clean and fresh – just awesome. Thanks… and oh yeah if I won the giveaway that would be awesome! as a photographer I create albums for my clients. Sadly I have never printed my own album. ( not even my own wedding album,) I know it’s shameful. I need to work on printing more things for myself! I would love to win an album! to print a few of my own personal family photos. My daughter uses this company and loves them. Her albums are beautiful! I need to make the leap and give them a try! Love your book and would love to finish my MTAV 2015 this way! I tend to jump around with my scrapping, so I’m not sure I have a complete year documented ever. Maybe 2016 should be the year… I do know I seem to get more done doing digital pages, though I still like to play with paper. I’ve never done a photo book, but the idea is appealing for all the reasons you give. Yours is terrific! I love the idea of a monthly book rather than a weekly one, and yours is so inspiring! I’ve decided I am going to do it this year! The book itself is almost exactly 12 inches square, even bound. Maybe 1/16 of an inch bigger than 12 x 12. You can order that size, but… you need to crop them FIRST, and then save them as 8 x 8 and then you’d have to change the font size back to a readable size (like 9 or 10 point!) This is important, otherwise you’d have tiny journaling. Oh man… that story still makes me choke up. I miss that little guy. I would love to win a book! I use another publisher but AdoramPix looks amazing. Next year I plan to do a digital book because I’ll need to send a copy home with our Chinese exchange student! Of course, I’d love to win this one! That would be cool to win a book. I have been thinking about trying one of their books for a while now. I always use Adorama for my books. Getting one free would be fantastic! The book looks so great! Would love the chance to win one. I would love to win one of these books. I already made up my kind that my Italy trip that I am currently working on will be done by this company. Thanks for sharing, Cathy. And, I love your simplicity! It is also the way I like my scrapbooking. Thank you for the chance to win Cathy. I love your simplistic style. I think it really makes the stories shine more. After watching your 2014 book last year I almost did 2015 like that. Now watching this one again it’s cemented that I love it. I think 2017 needs to be done like this as I’m using this year to use up the last of my physical products. It looks rad. Can’t wait to see the rest of this year. ? Secondly, I LOVE how you empower people to do this so simply. I do think we need to hear it is OK. Thanks!! Thirdly, your album looks brilliant! Thanks for sharing (and thanks also to Dan, Aiden and Cole for their participation). Organizing your photos…..do you sort them in iPhoto/photo into albums w/in Photos, or do you organize them into folders under your document file structure? I ask b/c I have recently made the move from PC to mac and having problems converting photos into a usable set up. I tried uploading a photo to something, but it wouldn’t let me attach from MAC photos for some reason. Any tips for a newb? So I create Smart Folders in Photos. By Year and month date. Then I know exactly what I took each month. Next, I create a Project Life 2015 (or whatever year I’m in) folder on my Hard Drive (I have a big folder called Scrapbooking and everything goes in there.) In that folder I create 12 monthly folders (1_January, 2_February, 3_March) etc. Then I select the photos I think I want to use and pull them OUT of Photos and plop them into the monthly photo folder where I crop and edit them there. I love your book…awesome job! My question is how much did it cost? I remember last year that was an issue but you still loved the book. I’m willing to pay more money for an awesome product, just want to know how much the awesome product costs? ??? This is great and looks so fun. And doable. Beautiful book, Cathy…and I would love to be able to make one of my own too!! 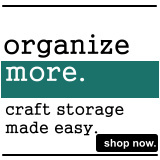 I’m convinced…I think this would definitely take some of the crap out of my scrap booking! Lovely book, I’m glad to see your bee photos made the cut. I didn’t realize the bee dance was a yearly event until this year. I would enjoy winning the free album, although I have never done a bound album before. Yes please to the free book! There’s no light in Canada either…. well done on the video! I need free, the CDN dollar is abysmal at best… Thanks for sharing Cathy. Beautiful album! I’ve been doing the same format for five years and i think it’s time to change it up! Your’s is an inspiration. Hey, I have a whole album in Photos of my kids, ok, and my hubs and me and even my mom in her 80’s, flipping the bird. The kids kept doing it, so we gave up and made it a thing. Sure I’d love to win an Adorama album! I really enjoyed yours! Trying to decide how to do this year. Weeks are getting to be a pain. I just may try the monthly approach. I also use Day1. So helpful for remembering stuff. And just journaling about whatever! Kathy I love this monthly format and you have made me realize that u can do project life but need to take more photos! Thanks for the inspiration! I would love to win an album. That was a great video — very inspirational. I love your style and the “clean” look of your templates. I’d love to win the book and try Adoramapix! Thanks for always sharing your beautiful work. Would love to win the book. Thanks! I would love to win a Adormapix album. I love the look of their albums! Wow. These would be lovely to have. I need to redo my wedding album! Thanks again for all of your tips for documenting our lives. 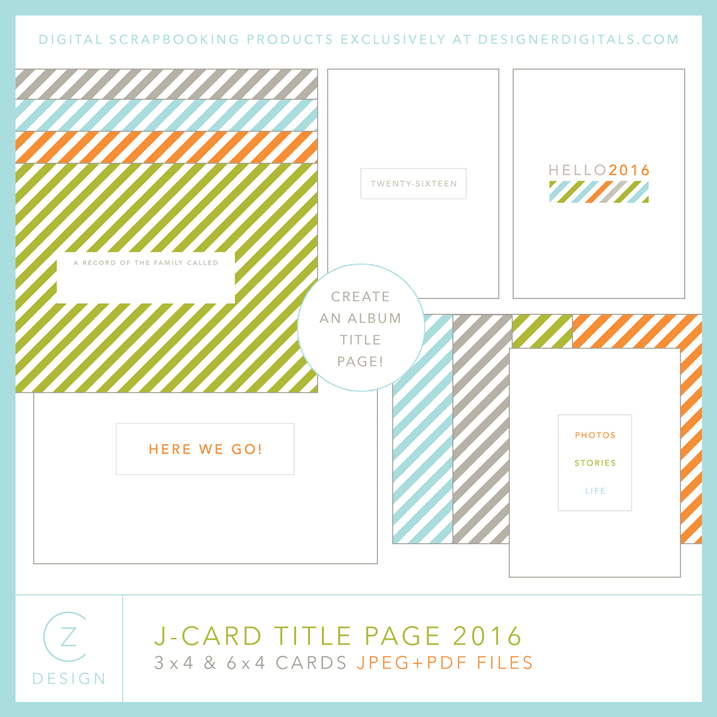 I ordered your templates and am ready to document 2016!! 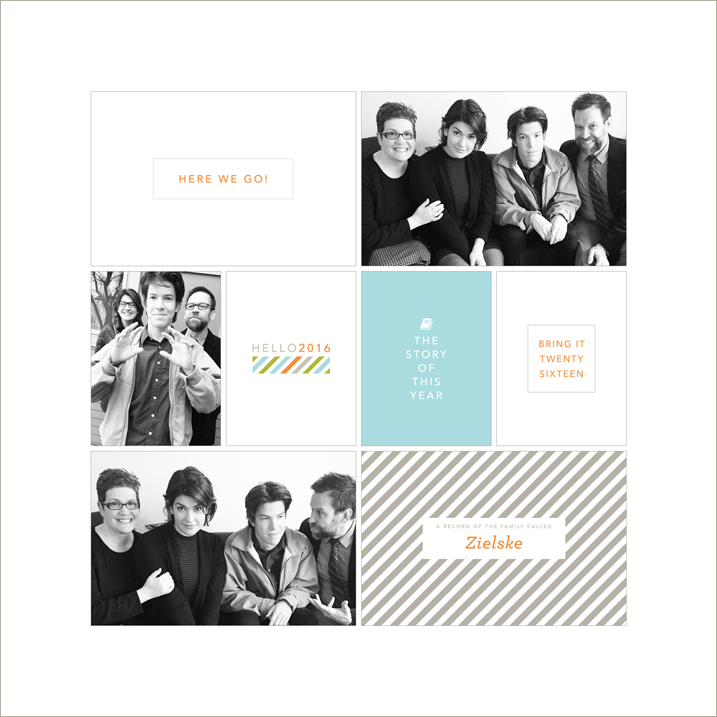 A quick thank you for introducing me to digital scrapbooking in 2014. I haven’t looked back since and I LOVE IT. My style is much different than yours, I’m all about pictures and words. That said I really love the simplicity of your book, it looks so tempting to do something similar – with a longer paragraph at the end of the month. I love the design of your book. Wow this turned out so great. Thanks so much for simplifying PL and making it doable! Thanks for your inspiration Cathy! I have done my 2015 album with your templates, and have uploaded them monthly to Adoramapix, based on your review last year. I am just putting the finishing touches on my cover now. What size font do you use, and what font is it? I didn’t do alot of journaling for 2015, mostly just pictures. I also plan on doing more B/W for 2016….just love how it looks in your book. I would love to win a Adoramapix book…..I do appreciate the coupon code as well! Your space reason for going digi is my reason too. I’ve got a mostly finished 2009 PL hybrid album (yes the first year Becky launched and supplied free digi kits) that I decided this month to convert all to digi. Planning on using your templates and ordering the book from Adoramapix – so now you’ve given me a bit of deadline with the coupon code! Your book this year is beautiful, as was last year’s. I’d love a chance to win the Adoramapix book, but if I don’t, I WILL be using the coupon code. 🙂 Thank you, Cathy! Thanks again for sharing your Project Life, and the giveaway! Would love to win, but congrats to whomever does! awesomely simple photo/scrapbook! thank you! I made the jump to digital and completed my entire 2015 album (66 pages) in one weekend using the Project Life App. I’m ready to print! I’d love to win a free AdoramaPix book! I have a question: can you describe how you created your cover? Is it fabric? Thanks so much! Your book is amazing. As technologically savvy as I think I am, creating a digital album confounds me. That being said I’m way behind in getting photos to paper. I have considered going digital, at least part way, to create a finished product. Looks great! I love your stuff, as always! I would love to win. I’m just starting on the Project Life bandwagon and need to really get going with it. This would help! My sister sent me your blog because I have been struggling with which company to go with in order to capture several trips that we have taken as a family…and I want my kids to remember the good times we have had together when they may be struggling on their own in the world. I would love to win one of these books…thanks for the opportunity. 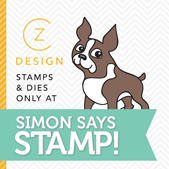 Simplicity is what this book is all about – and I love your style and design. It would be great to give it a try for my 2016 Project Life. As always, your video and book turned out wonderfully! Now I’m wishing I had taken more pics here in January to complete something like this for this year. Oh well, a little late now. I would love to be entered into the drawing as I do have other projects worth documenting. My week in the life project from this past August is one of them. Hi Cathy- I am using your monthly cards and love your white text on white background. I was able to change color of the outline but how do get a white background. I inserted a piece of white card stock over background but when I drop into main template it looks grey rather than white white. Unable to see text of the month. Any help? Thank you. 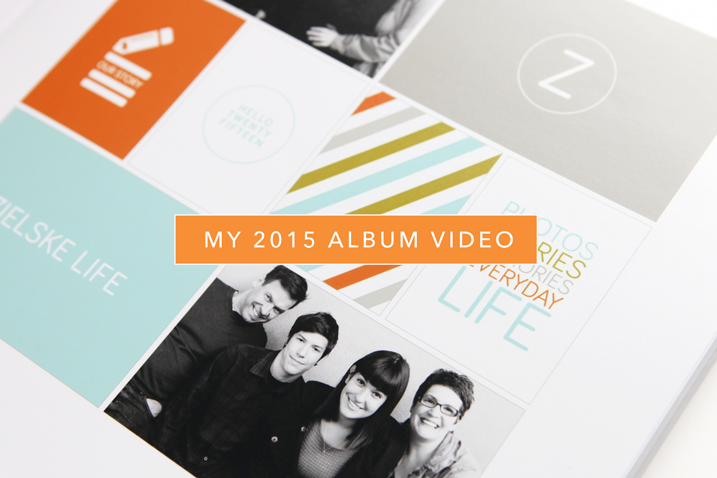 Hi Cathy – I am working on my album, using your monthly 4×6 template. I love the white on white with just the outline in color and text white. I am wondering how I get the white background? Probably a simple fix – changed to color of the outline just fine. I tried adding a piece of white card stock over background but when I drop it all into the whole page template it doesn’t look white white. I can’t see the white text of the month. Can you help? If you’re using those 6 x 4 monthly cards, there is an outline layer, the month layer, and the background of the outline area. That presently is set to have an Opacity of 40%. You can turn off the layer so it disappears! Just click on the Eyeball icon to turn it off. I don’t expect to win but it never hurts to try. Maybe it’ll get me to scrap my Disney anniversary trip. I would like to be entered! Thanks! Gosh, people have such great questions, I don’t have to ask any of the ones I thought I needed to! LOVE YOUR ALBUM and am totally doing this for 2016. We are moving to Germany in three and a half weeks (AAH!) and we just aren’t going to have room for giant paper albums, even if I want to. Thanks so much for the inspiration! 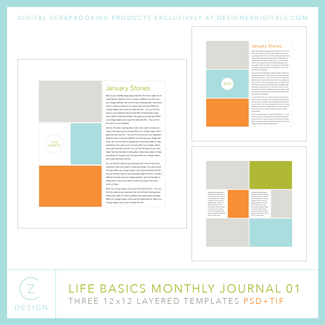 Off to buy your templates so I can get going on January (how is January already over!?). Sorry for commenting twice (now three times…)! I watched the video this morning after my baby woke up and apparently I commented then and forgot, so I commented just now. Eek! Must have been pretty tired! It’s been fun seeing this come together. Thanks for the opportunity to win (so I have the extra motivation to put my pictures together). Do you know if they post to Australia? I found it difficult to tell from their website. Also, what is the max number of pages they create into a book. Love your work. I would assume yes. i am presently waiting on an answer for the max number of page. Loved the video. Thanks for the chance to win! Sure would love to win this book and gift it to my friend Kate. Way overdue to create & print my daughter’s wedding album. This would be an awesome motivator. Thanks for the opportunity to win an album. Of course, I LOVE your PL album. Did my PL2015 using your older monthly 8.5×11 template set. Thinking I’m ready to switch it up to 12×12 this year. Thanks for all the inspiration. Yes! I’d really like to win a Adoramapix album!! Still have to finish and print 2006-2013, 2014 ánd 2015. This would be a great motivator to finish up and start my holiday albums ? Currently traveling for 3 months, so that will be a big job ? Loved your video. I would absolutely love to do this in 2016. Can I use Adoramapix from the UK? Love your book. Thinking about trying digital for my 2015 book using your 8.5 x 11 templates. But just looked at Adoramapix and it doesn’t look like they offer a book that size? I don’t believe they do offer that size. You’d have to look at another company. I think Blurb.com does offer that size, or they used to. Thanks for the inspiration and the chance to win a photobook. I’ve been wanting to give them a try! Would be awesome to win a photobook. 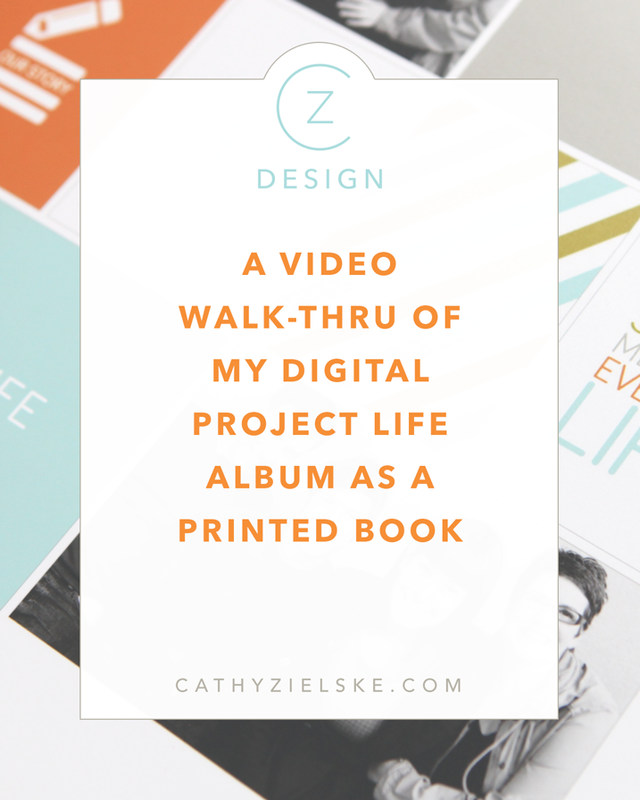 Cathy your work inspires me and to do Project Life digitally will probably fit in my life a little easier. I always start a year long pocket page album and it never gets complete! I would love to win this awesome book! Thanks for sharing your finished book and the process you used to create it! The simplicity of it is very appealing. Love it! Cathy, I was cleaning out the “crap” out of my Scrap room yesterday. I came across all the class materials from Design Your Life and Me: The Abridged Version. 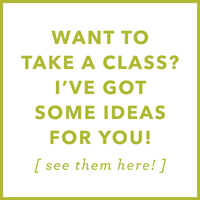 I just wanted you to know that those 2 classes were 2 of the favorite I’ve ever taken (and I take a lot!) it was not normal for me to scrap much about myself, and I loved feeling a little proficient with Photoshop Elements through your wonderful teaching. I hope I can meet you in person someday! I have been thinking about making the switch to photo books instead of the huge 12×12 albums, because, like you, I don’t have unlimited space. And I find the albums so hard to handle. My problem is going to be giving up the extras that I like to add in to my albums, such as cards, invitations, my daughter’s artwork, etc. I need to figure out a system for that, and then maybe I will make the switch. Thank you for sharing! I was really inspired by your video. Hi Cathy. Thank you for your help- flattening the outline/text layers and turning off the background gave me the white background I was looking for. I was linking, not flattening and it wasn’t working. I got all the way through June finished so I will definitely get it ordered in time to take advantage of the 25% off. I am so excited and appreciate your help! I have GOT to get more proficient at digital. This is inspiring! Adoramapix is my favorite publisher. I love their quality and attention to detail! I’m tempted to start doing my PL all digi, but the extra “stuff” of life holding me back. I’m still in a chapter of life that includes mucho kid art projects, and I like to save little bits like ski lift tickets. Do you save “stuff?” What do you do with it? I know taking a picture is an option, and I’m ok with that for nearly everything but some treasures have to be kept in their original form. Mabye a digi book and a 12×12 box of other stuff for the year? Hi again, Cathy! I’m working frantically to get my 2015 book put together on the AdoramaPix website before your coupon expires tomorrow. Here’s my question. I’m creating a 10×10 book. The layout of the pages is not like yours. Page one faces page two. It is not a single page (as I had planned). Do you have any idea why? Did you do anything special to get that first/title page in that spot? Thanks much! Well, I have a file in the cover spot, then no file on the inside front cover, then my title page is on the right facing page. Does that help? Yes! Their book layout confused me. ‘Page one’ is actually the inside of the front cover. And the last ‘page’ is the inside of the back cover. Blank pages can be added (for a nominal fee) to create a blank inside cover and adjoining first/last page. I think I’ll go the same route you did. Just leave the first and last ‘page’ blank. 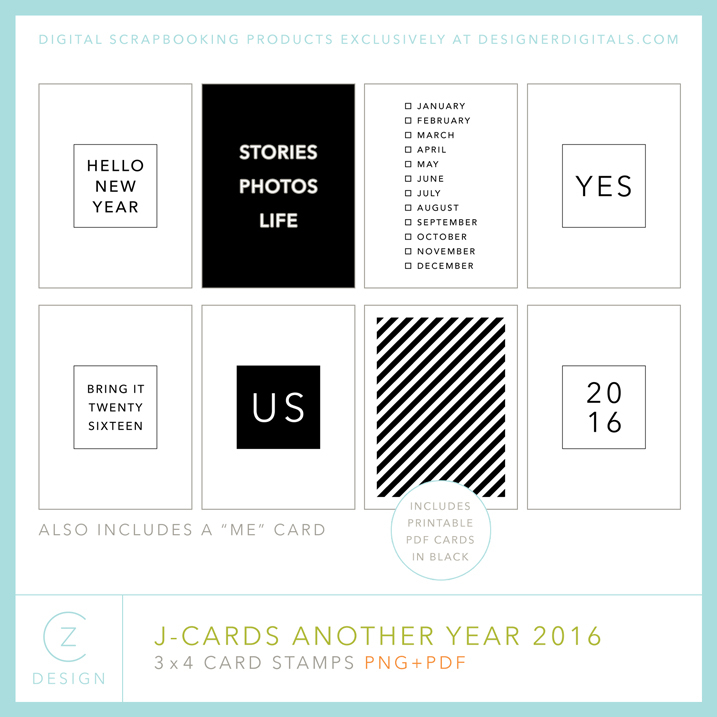 Cathy, I was so happy to see this blog and the new j-cards for 2016. Can’t wait to get home and order them. Sadly the Internet on the ship won’t let me watch the video so that will have to wait till I’m home as well. Hi Cathy, Just wondering before I order some templates. How do you resize from a 12×12 file to get the white space? (How much white space do you use?) How do I centre the final Jpg so they are all even throughout the book. Hope this makes sense. Hi Cathy, Just wondering before I order some templates. How do you resize from a 12×12 file to get the white space? (How much white space do you use?) How do I centre the final Jpg so they are all even throughout the book. Hope this makes sense. I adore your clean simple book style. Do you make OTHER templates in my collection have this same space? The margin side is 1.5 inches on these project life pages. 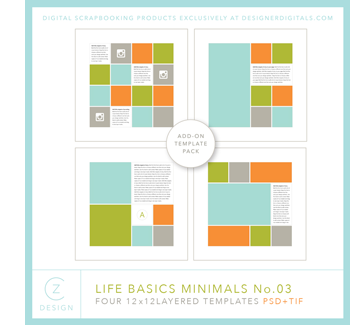 That space is built into each of these Minimal Basics templates. 🙂 The content is already centered. Does this answer your question? Do you mean make OTHER templates in my collection have this same space? Or are you talking about the ones I used for this album? Thanks Cathy that explains it perfectly. What paper quality did you choose?